I’m in the midst of preparing menus for two parties. First, an orphan thanksgiving for local friends, and then traveling to a family dinner. 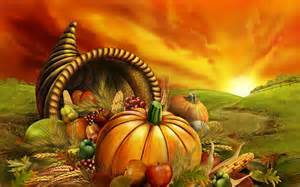 Have you noticed that despite the fact you you celebrate Thanksgiving every year, it’s never the same as last time? Sometimes there’s a little change, like adding a new side dish to the turkey feast; but sometimes there are massive changes. Maybe you can’t stand turkey anymore and went for Chinese. The core ideas were the same — family, feasting, gratitude — but you went about it a totally different way. It’s a lot like re-writing and revising. You know the basics of what’s going to happen. Thanksgiving has traditions and a theme, and your story has traditions and a theme. The more experience you have planning the party [or re-working the manuscript], the more your skills and confidence will improve. Change is necessary, and it’s up to you to say what stays and what goes. Start small. Tweaking your dialogue is like tweaking a recipe. Adding a scene is like inviting a new group of people over. Then move on to the big stuff. If your manuscript is too long, think of it like cutting your guest list. You love your writing, like you love your friends and family—but if your friends and family don’t mesh, one of them can’t come to the party. Don’t be afraid to hurt feelings, or cut things you’re really proud of. They can always get their own party later. You owe it to your guests [readers] to make it the most fun, the most touching, and the most memorable party [story] you can. Now buckle down and do it. This entry was posted in Craft Notes, Horrible jokes, This Really Happened and tagged composition, dinner party, editing, holidays, manuscript, party-planning, thanksgiving, writing on November 19, 2014 by Setsu.